We are delighted to announce the 17th meeting of the International Bladder Cancer Network, to be held in October 3rd – 5th, 2019 in Aarhus, Denmark. The bar is set high after an amazing meeting in Rotterdam in 2018, but together with our local host Lars Dyrskjøt we will undoubtedly be able to deliver another memorable bladder cancer meeting this year. We will maintain last year’s meeting format in most respects. We will start with an informal evening reception on Thursday 3rd. The meeting will be held all day on Friday 4th and until late afternoon of Saturday 5th (end at 4 pm). We will have our trademark ‘IBCN Dinner’ on Friday evening. The meeting will be held at the Moesgaard Museum (picture at right) just a few kilometers south of Aarhus. A block of rooms is available at the RadissonBlu Hotel in Aaruhus. Please use the following link to obtain a discounted rate on a first-come, first-serve basis as long as rooms last (and not beyond Sept 1, 2019): IBCN 2019. Remember that all members are responsible to cover the cost of their own hotel room this year. Trainees who are already IBCN members and who submit an abstract to this year’s meeting before the July 1st deadline may apply by simple e-mail to have two nights of accommodation covered by the IBCN. In this e-mail please include your current position, current supervisor, year of becoming IBCN member, and title of submitted abstract. For transportation options to Aarhus, please follow this: travel to Aarhus. There are two airports close to Aarhus, including domestic travel to Aarhus Airport and international travel to Billund Airport. If you fly to Copenhagen you can reach Aarhus via Aarhus Airport (about 1/2 hour flight + 40 km bus-ride from airport), or you can take the train directly to Aarhus (about 2.5 hours). Billund Airport has several international connections and is located about 100 km south of Aarhus – from the airport there are frequent bus connections to Aarhus. The sessions for the meeting will be focused around hot topics in clinical and translational bladder cancer research. We will again plan on having an interactive poster session to allow everyone to present their work. We will continue our collaboration with industry partners with small group break-out sessions. As always, we look forward to having you present your research for collaborative discussions. A request for abstracts will follow with a submission due date of July 1st. Keynote speaker Nicolai Birkbak from the University of Aarhus who has been intimately involved in the TRACERx project on clonal evolution of lung cancer. Richard Hautmann, Professor Emeritus from the University of Ulm, speaking on surgical innovation. This year we will again have a travel award in the amount of €1500 for a junior investigator from outside of Europe and U.K. – any interested candidates can forward a copy of their CV and an abstract to ibcn1997@gmail.com. In addition, we will have monetary awards for the best research presentations, which will be linked to an invitation to contribute an article on a related research project to the annual IBCN issue of Urologic Oncology. Please remember: The meeting is only open to members. If you have not registered yourself as a member and paid your dues (possible now by PayPal on IBCN webpage), please contact us. The winners of the award will be obliged to contribute an article on a subject matter related to their abstracts to the IBCN topic issue of Urologic Oncology in 2020. The sessions for the meeting will be announced ahead of time. Please remember: The meeting is only open to members. If you would like to become a member, please submit an application under the Membership tab. 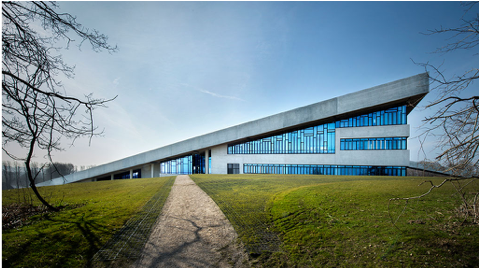 The conference venue 2019 will be the RadissonBlue in Aarhus. For further information please check the following website. The IBCN negotiated a price of 160 Euro/night including breakfast and wifi. The rooms are available on a “first come – first served” basis. Importantly, the special IBCN discount will cover the time range from 1st of October through 7th of October 2019.